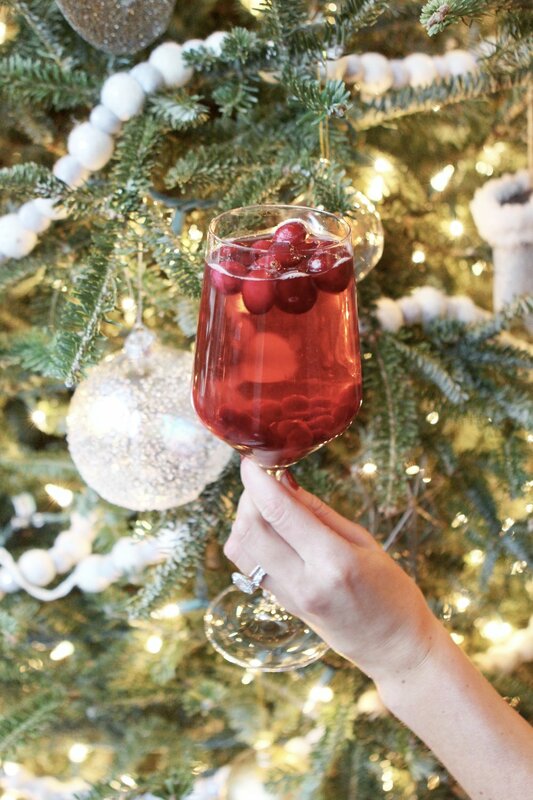 Who doesn't love a festive drink for the holiday? I feel like wine and champagne are great Christmas drinks (besides eggnog of course). Sangria is awesome because its so easy. The cranberries automatically make it pretty too! Be sure to check out my Cranberry Mules if you're looking for another Christmas cocktail. This recipe yields a carafe worth of drinks for a group! Combine all of the ingredients and then garnish!